We are putting a new spin on an old tradition by adding gorgeous succulents to our wreath. 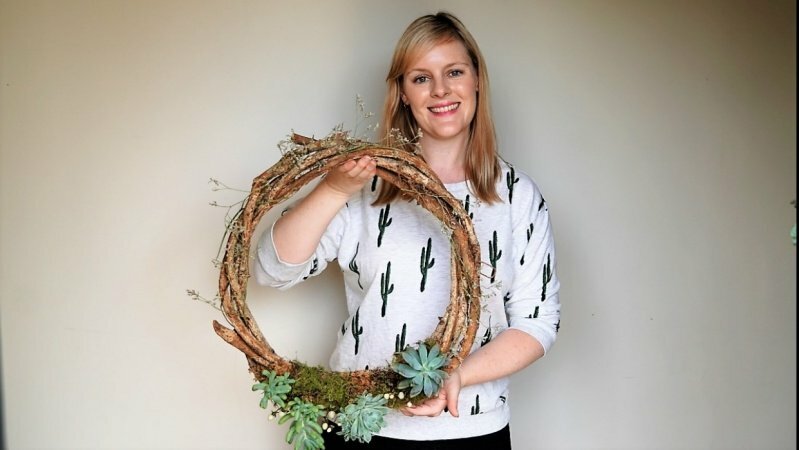 Succulents are all the rage at the moment, so find out how to incorporate them into a winter wreath. Succulents are a very adaptive species that thrive in an environment that is dry, so learn what materials to use to keep your succulents healthy long after the holiday season. These wreaths can also easily be used a table decorations, they make for a truly stunning centrepiece! The best thing about these wreaths is that if you decide to pack away your wreath, rather than putting it into a box to collect dust, you can plant your wreath and turn it into a beautiful long lasting succulent garden. This class is perfect for anyone who wants to get creative this festive season, no green thumb required! Create your very own living wreath and share photos with the class. Upload progress shots as well as the finished product. Having spent the last 14 years living in apartments I'm passionate about bringing the outdoors in and gardening in small spaces. I love sharing my passion for plants and getting people excited about fun ways to creatively display them, whether it's kokedamas, upcycling vintage vessels or terrariums. Not only do I display beautiful creations with careful detail, I also takes great pride in producing fun and educational classes.